Brad Bonner brings more than 25+ years of experience to the mediation table. After more than two decades spent in the litigation arena, we know all too well the toll a contentious dispute or drawn-out lawsuit can take on participants — even the ones who win. Luckily, there is a better way. At Yellowstone Mediation, we help people arrive at a fair, voluntary agreement to end their dispute once and for all — usually in a matter of days. We have broad experience. We work hard always to carefully understand your situation. We can help you find a solution. Brad went above and beyond in our last mediation. He was well prepared, worked late into the night trying to settle things, and then continued contact with counsel and the parties during the weeks following the mediation in an attempt to get the matter resolved. He does not give up easily, and he isn’t afraid to use creative solutions. When you engage Brad to assist in mediating a dispute, you need to know that several words are needed to describe him. Effective. Thorough. Tireless. Persuasive. Relentless. And Understanding all come to mind. It is such a pleasure working with Brad especially on the most contentious and difficult matter that we, from time to time, encounter. I was thoroughly impressed with his hard work and preparation before we even stepped foot in the mediation. I felt that he went above and beyond in preparing to help the parties resolve the case and that contributed to a successful result. His mediation style and skill were exactly what both sides needed to help settle a difficult and high stakes case. We were involved in the mediation of a sensitive and difficult case with Brad. He was thoughtful, patient and very well prepared. The case was settled. I think all parties left feeling a wise decision had been made. Brad is an elite mediator. Divorce is hard and painful on so many levels.  By having Yellowstone Mediation handle this difficult event, they were efficient and kept us focused on getting through the divorce. It saved us months of agony, time and extra expense. Because of Brad and his staff’s expertise – they are the reason we maintained civility throughout the process and kept a foundation to work together to raise our kids after the decree was signed. I have used Brad as a mediator several times – from cases involving relatively simple issues to lawsuits involving catastrophic injuries, multiple parties, and complex questions of law and fact. He is always well-prepared and professional. Brad establishes himself as a person all parties can trust, and finds common sense approaches to bring the parties together. He has resolved cases I was sure were destined for trial. I recently used Brad’s services to mediate a difficult case in which the parties were hundreds of thousands of dollars apart and had little hope of settling. However, thanks to Brad’s skill, creativity, and perseverance we were able to reach a reasonable and fair resolution. I would recommend Brad to anyone in need of an excellent mediator.